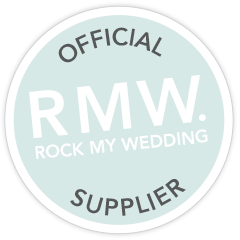 Moggy Blooms, is a wedding florist company based in London, owned by Nicky Kestla. We provide wedding flowers to couples in all areas of London and the South East. We have a passion and love for creating romantic and vintage style designs expressed with colour, texture and zeal. We strive to provide beautiful wedding flowers for your day and work closely with you, offering design ideas and options to compliment your wedding vision and your budget. Each wedding we serve is specifically tailored to reflect your style and personality. We are able to cover all areas of London and the South East. Contact us today to discuss your floral wedding plans! Email us on info@moggyblooms.co.uk or call 07732 512 389. We offer a free wedding floral consultation service which can take up to two hours if you are having bridal, ceremony and reception flowers. We can travel to you. A consultation is needed to discuss exactly what you want for your day. During this meeting, we will be able to advise you on your wedding flowers, offering design ideas and options to compliment your wedding vision and budget. In order to provide a stress-free process it is our aim to provide you with a quote during this meeting so that you have an opportunity to ask questions, and ultimately make the decision that is best for you. When you are ready to make your booking, we require a deposit to secure your wedding date. This amount is then deducted from your final bill. Each wedding we serve is specifically tailored to reflect your style and personality; we always work on one wedding at a time so that we are focused on providing you with a bespoke service. This means that when you book with us, we will dedicate your wedding date and the day before to you only. We encourage regular communication throughout your journey with us, therefore if you come across something you really love and want us to incorporate it in your wedding flowers, email or call us any time. We are always available for follow up consultations. On your wedding day we will deliver your flowers to you at least two hours before the ceremony. We can also set up your ceremony and reception flowers on the day or day before your wedding. No time to talk right now, I'll call you back. Simply complete the boxes below (they're all required). I was really impressed that when Nicky met us for our consultation, that she had so many flower ideas to share with us, not to mention the attention to detail for the flowers on the actual wedding day. The flowers on the day looked stunning, so many people commented on how lovely they were. I highly recommend that you get your flowers done by Moggy Blooms. Thank you for being so awesome! Thank you so much for the most amazing flowers for our wedding, they were stunning and exactly what we wanted. You went over and above our expectations, and I feel as though mere words cannot convey quite how fantastic they were! We whole heartedly would recommend you to anyone wanting fantastic flowers. Thank you! Moggy Blooms did our wedding flowers and they were amazing! Nicky was wonderful at suggesting possible flower/foliage combinations that would look good together and be in season. Everyone commented on how wonderful the flowers were. I wouldn’t hesitate in recommending this company to anyone -they were wonderful. I’m even using them again in a few weeks. The prices were very reasonable and Nicky is brilliant if you are trying to work within a budget. Nicky was able to suggest alternative cheaper flowers that fulfilled my criteria – wonderful!